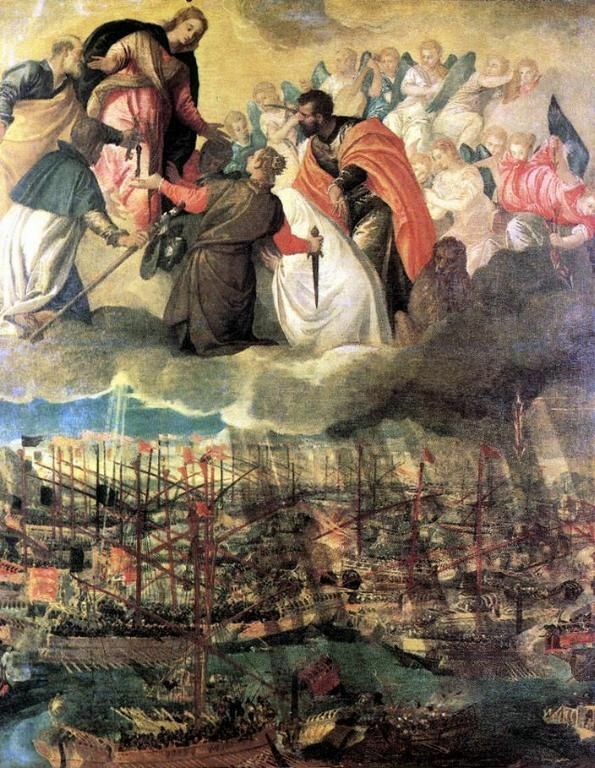 On October 7, 1571, four hundred and forty-four years ago, the forces of the Holy League under Don Juan of Austria, illegitimate half brother of Philip II, in an ever-lasting tribute to Italian and Spanish courage and seamanship, smashed the Turkish fleet. This was the turning point in the centuries-long struggle between the Christian West and the forces of the Ottoman Empire over the Mediterranean. The Holy League had been the work of Pope Saint Pius V, who miraculously saw the victory in Rome on the day of the battle, and he proclaimed the feast day of Our Lady of Victory to whom he attributed the victory.